WASHINGTON—The United States for the time being will stay in an international nuclear deal with Iran, U.S. 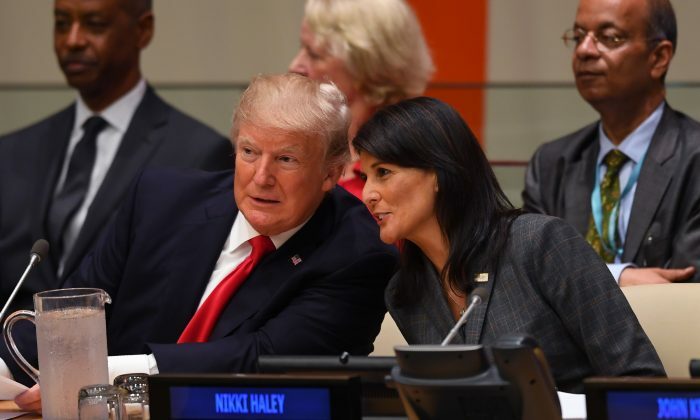 Ambassador to the UN Nikki Haley said on Sunday, Oct. 15, adding that the Trump administration wanted to weigh a “proportionate” response to Tehran’s actions on the world stage. 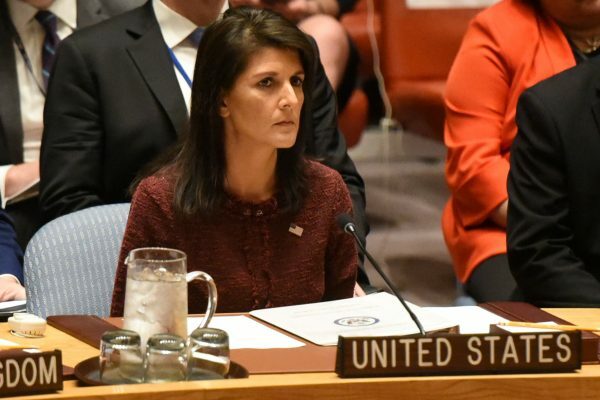 “I think right now, you’re going to see us stay in the deal, because what our hope is, [is] that we can improve the situation, and that’s the goal,” Haley said referring to what she said were Iran’s ballistic missile tests, international arms sales and state-sponsored terrorism. On Friday, President Donald Trump refused to formally certify that Iran was meeting the requirements of a 2015 international deal aimed at monitoring and controlling that country’s nuclear program. The U.S. Congress now has 60 days to decide whether to reimpose economic sanctions on Tehran that were lifted under the deal. Haley said that other countries were “turning a blind eye” to these activities by Iran in order to “protect” the nuclear agreement.